In 1845 folvark belonged to Vikenti Walther. All earth there were only 32 tithes, from them the estate occupied one tithe. Peasants 12 souls were registered. In the yard there were 15 beasts and two horses. Soon folvark passed to Dionysius and Theresa Mitrashevskim. Land grounds increased to 344 tithes. In 1863 Yang, (1823 — 1897) which returned to a manor was the owner. After revolt defeat the manor was confiscated and raspartsellirovano. A share in 77 tithes with the estate Yang, perhaps, the insurgent's son owned. The estate is put in the first half of the 19th century among bogs, separately from settlements. The village Kids was the next from East side. 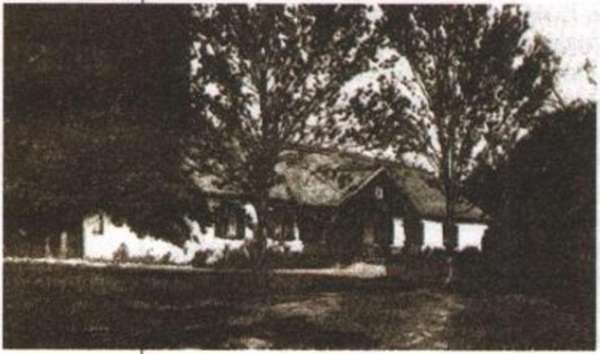 The small whitewashed wooden house with a porch stood on the main facade almost in the center of the estate in an environment of landscape park and an orchard. The small, but difficult water system from five reservoirs connected by channels which, surrounding the estate, had decorative and utilitarian appointment is the basis for its composition, draining the lowered district. Channels dewatered to the neighboring marsh massif. The system is broken in connection with melioration: channels are lost, two reservoirs grow rogozy, two are filled up. The fifth reservoir is well expressed as the long channel (120 * 12 m) on the northeast region of the estate. Perpendicular to it there passes one of lime entrance avenues put by lindens large-leaved (16 trees) and fine-leaved (13). Park, and together with it the estate, merging with surrounding coppices, meadows, bogs and, being on removal from villages, seemed cut off from the whole world. The estate is connected with events of 1863. 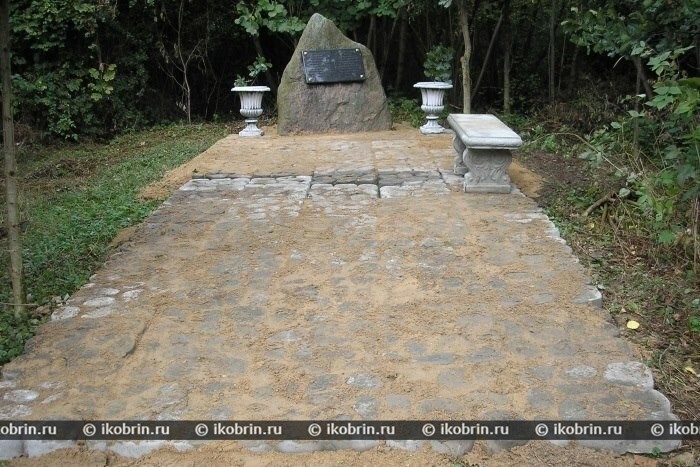 Here to participants of revolt, the audience at Jan Mitrashevsky, there arrived Romuald Traugutt and swore on fidelity to heads of insurgent group which was created in May, 1863. Wounded insurgents came to the hospital organized in a manor. Enduring bitterness of defeat, here, to graves on Gorecki the channel, there came Elisa Ozheshko with Stefanie Zhuk. She not just assigned a big bouquet of wild flowers to a grave of heroes, but promised: "... never to change ideals of good, justice and freedom...". The place of burial in connection with meliorative works is lost. From the estate the small fragments which became the private sector remained. In 2003 the memorable boulder is established here. The abandoned estate needs at least elementary improvement. Charisma. Farmstead house. Ceremonial facade. A photo till 1939.